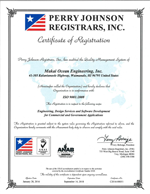 Since it was founded in 1973, Makai Ocean Engineering, Inc. has been honored with a variety of awards resulting from Makai’s ocean engineering and software development services. 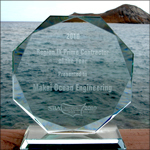 These accolades are a result of Makai’s commitment to excellence and dedication to solving ocean engineering problems with innovative solutions. Makai has been awarded the prestigious Tibbetts Awards, which recognizes the very best in class of the Small Business Innovation Research (SBIR) Phase I and II programs. Awardees are evaluated on technological innovations that create jobs and have a visible economic impact, serve federal R&D needs, encourage diverse participation, and increase commercialization of federal R&D. Makai was nominated for Pacific Business News’ 2014 Business Leadership Hawaii Awards – Hawaii’s premier business recognition event of the year. 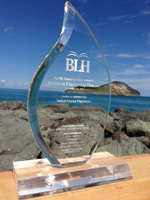 Based on our outstanding work during the year, PBN selected Makai for the Leaders in Sustainability award, which recognizes a company that has made significant strides in reducing energy use or conserving natural resources for itself or other businesses. 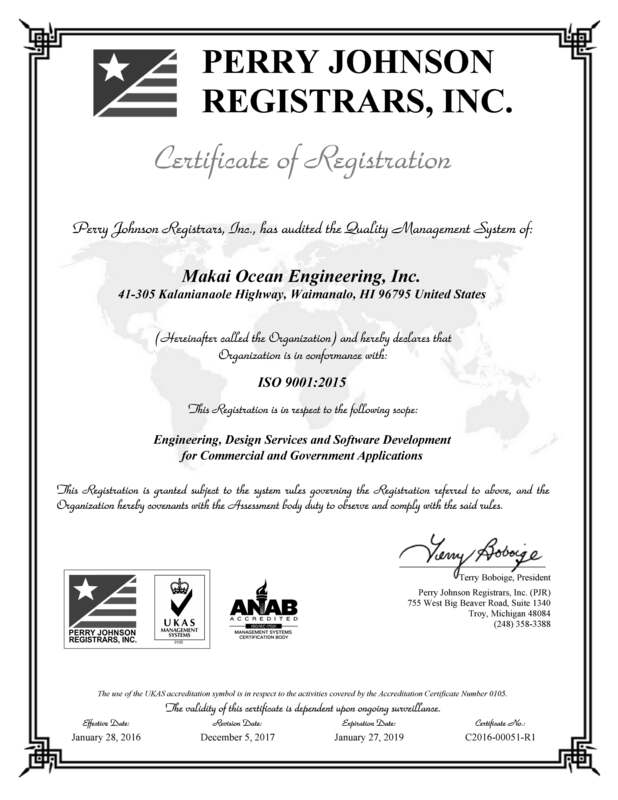 Makai Ocean Engineering, Inc. has achieved ISO 9001:2015 certification, an internationally recognized standard for quality management systems. The Certificate is only awarded to companies that can demonstrate their ability to consistently provide products and services that meet customer requirements, placing customer satisfaction as a key component of those requirements. 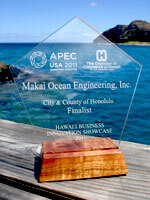 Makai was chosen as one of the 30 finalist among 2000 local companies that competed to represent Hawaii at the 2011 APEC Summit. 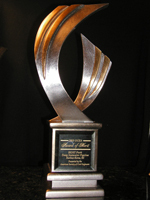 The criteria for the award included business services or products that are attractive to markets outside Hawaii, having developed unique, leading and cutting-edge innovations in product development, technology, marketing or delivery; having positively impacted Hawaii’s business environment, having growth and investment potential; and having adopted environmentally sound programs and practices. 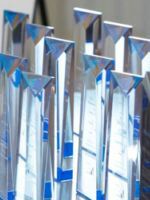 Advanced American Construction, Inc. received the 2011 Aon Build America Award for their work constructing a innovative positively buoyant HDPE open channel flow sewage interceptor submerged in Lake Oswego, Oregon. Makai assisted in the design and engineering analysis of the pipeline. 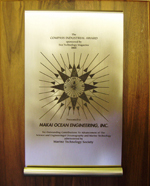 The Marine Technology Society awarded Makai with the Compass Industrial Award for outstanding contributions to advancement of the science and engineering of oceanography and marine technology. 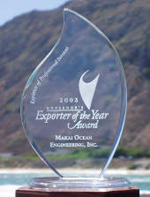 State of Hawaii Governor Linda Lingle awarded the Exporter of Professional Services award for 2003 to Makai Ocean Engineering. The award was earned based upon service & sales of Makai’s sophisticated submarine cable-lay software and advanced pipeline design services. 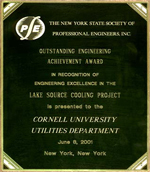 The Lake Source Cooling Project at Cornell University has been selected as the New York State Society of Professional Engineer’s 2001 Outstanding Engineering Achievement. This award recognizes outstanding engineering achievements that have captured the innovative and dynamic spirit of a profession dedicated to public service. Makai was responsible for the design engineering of the two mile long 63 inch cold water intake pipe and the 48 inch discharge pipe. 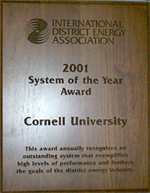 The Lake Source Cooling Project at Cornell University was selected as the International District Energy Association’s System of the Year. This award is the top honor given by the association annually, which recognizes exemplary District Energy systems that provide high-level performance and service to their communities. Makai was responsible for the design engineering of the two mile long 63 inch cold water intake pipe and the 48 inch discharge pipe. 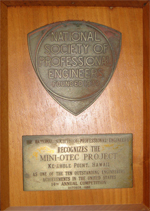 In 1980, the National Society of Professional Engineers recognized the Mini-OTEC Project at Ke-ahole Point, Hawaii and one of the ten outstanding engineering achievements in the United States. Makai was involved in the design and construction management of the cold water pipe, mooring and platform.